Do you enjoy living life on the edge? Are you a thrill seeker? If so, CrimePot is the perfect site for you. Web app for viewing criminal activity near you. 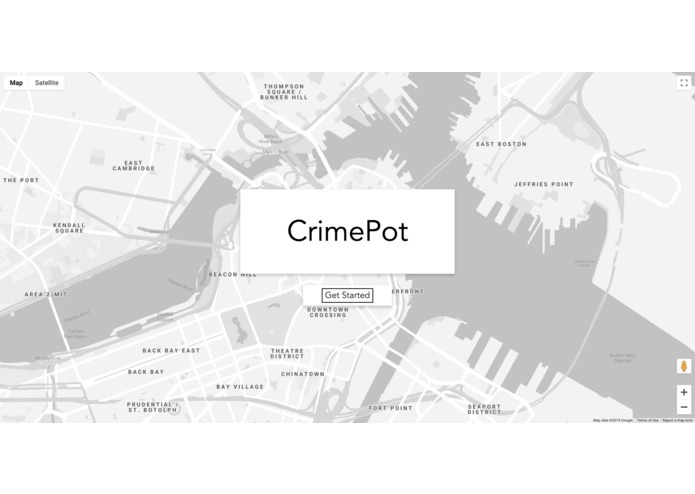 A project that uses the data from the Crime Incident Reports provided by the Boston Police Department. I worked on the back end, specifically with filtering JSON data from the CKAN API for Boston's Crime Incident Reports and sending GeoJSON data to the front end. 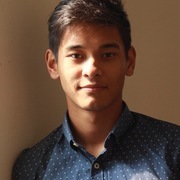 I thought this was an incredible experience and I definitely learned an incredible amount about working with APIs, Python, and the interaction between front/back end. I worked on the back end of the project. I handled HTTP requests from the front end, turning them into SQL query Strings using the flask framework in Python. I also worked on parsing the JSON String received by the SQL database and reformatting it to GeoJSON. It was my first time using Python for a big project and I am really proud of the outcome. I worked on the backend and helped filter the JSON, which we received from Boston PD's API. Using Python, I helped write the functions that filter the data by the user's timeframe and radius preferences and convert the JSON to GeoJSON. 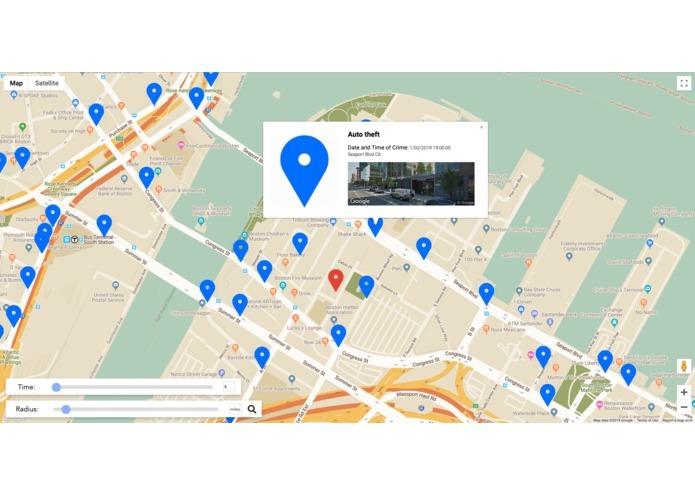 Using the Google Maps API, they could easily place the markers on the map. It was actually a ton of fun learning new skills and very satisfying to see my contributions (functioning!) in action.